We had a super turn out for Professor Jons Famous Flea Circus on Tuesday 9thApril. The fleas behaved themselves beautifully and put on a fabulous performance. 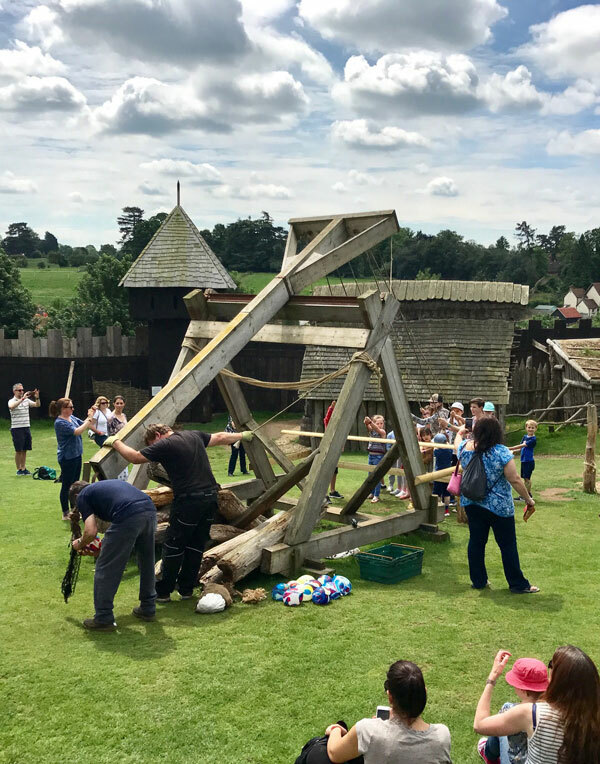 We are hoping that the talented fleas will be coming back again with Professor Jon this coming August. Please watch this space for further details. 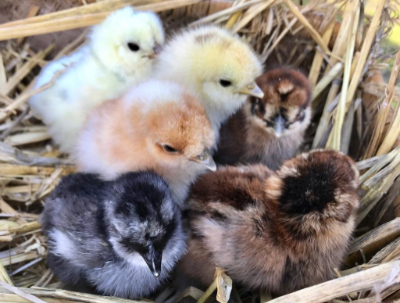 We were so pleased to find the 14 freshly hatched Frizzle and Silkie chicks with their very proud mums this morning despite the blustery night. It didn’t seem to have bothered them at all. 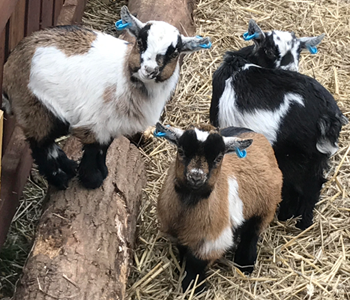 They will be looking forward to meeting our visitors this Easter so pop us in your diary for a visit and let the children enjoy our free Easter Egg trail. Latest ghostly happenings at the famously haunted Essex Medieval Castle and Norman village. The newest resident ghost at Mountfitchet Castle in Stansted, Essex appeared again to startled ground staff late last night. Whilst on their last security check of the evening the two members of staff suddenly became aware of a huge drop in the temperature inside the Grand Hall in the inner bailey of the Norman medieval village and suddenly fleetingly saw the apparition of a hooded monk pass across a doorway and vanish behind the figure of the Baron sitting at his banquet table. 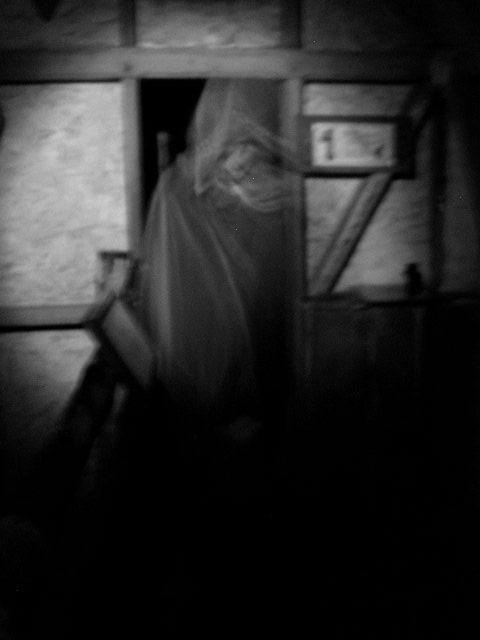 The last time this ghost was seen, and captured on camera, in the very same area was back in 2010. 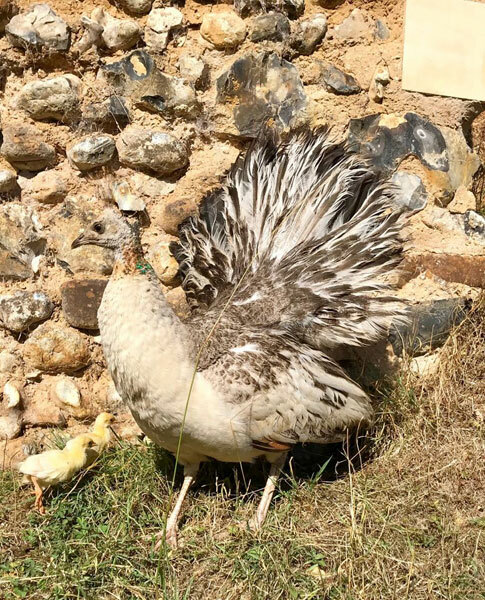 Mountfitchet Castle is open everyday until Sunday 11th Nov and is hoping the ghost will decide to appear again spookily in time for our fun Halloween pumpkin event which is running everyday over the half term until 4th Nov.
Three baby Peacocks hatched just this morning. Antiques Road Trip & Diversity's Jordan! 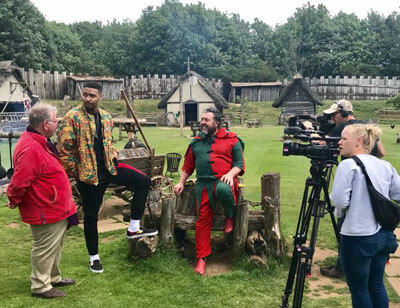 The cast and crew of the Antiques Road Trip came to Mountfitchet Castle in Stansted today the 14th June to film Diversity’s Jordan Banjo and expert Philip Serrell for a scene for an episode of the popular day time show on BBC. 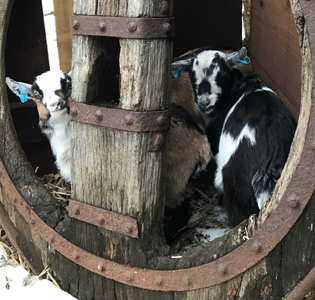 No ducking out of this one, its double trouble! Once again, Mountfitchet Castle in Stansted has been blessed with another batch of not nine but eighteen freshly hatched ducklings, but Labrador Fred, the famous father of nine ducklings won’t have to worry this time as their mother is carefully looking after her brood and she proudly brought them out of their nest for the first time this morning to have a wander around the castle grounds. 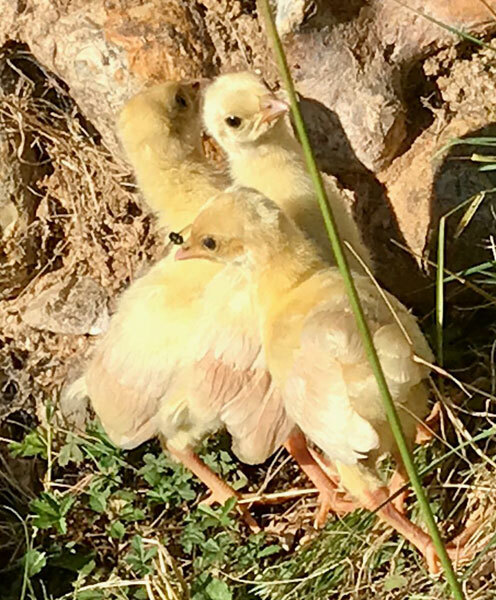 Fred is still being kept busy with his brood but they are growing up fast now so he is beginning to get more well-earned rest times from the mischievous youngsters. No need to book – No extra charge – Lovely Café on site, or bring your own picnic. 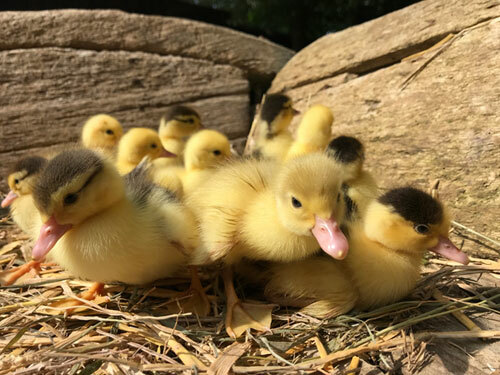 Fred the resident dog at Mountfitchet Castle in Stansted stepped up to the challenge when nine little ducklings became orphaned last Thursday. 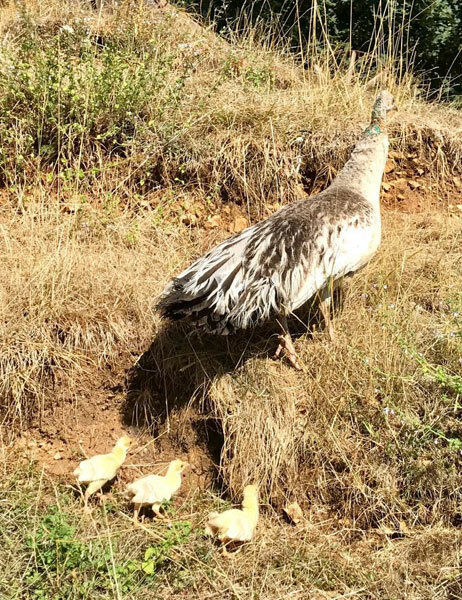 The ducklings’ mum had disappeared and a member of staff found them waddling around the castle grounds alone. The team were very worried about the ducklings but Fred, a 10 year old Labrador, immediately took to them and has been babysitting ever since. The ducklings absolutely adore him and he has now resigned himself to being a stay at home dad looking after the 9 baby ducklings. They are getting very mischievous even hitching a ride on his back and following him in to the water for a swim in the castle moat. Our recent story regarding Fred the Labrador has gone rather mad and has been featured on quite a few news websites, all over facebook, twitter and Instagram!